“We have found Medinobx as an excellent product. This is very useful in teaching doctors. It is very user friendly. Video and audio quality is amazingly great. Medinbox helps to maintain important documentation by recording cases In a Box. It helps to participate in International conferences. 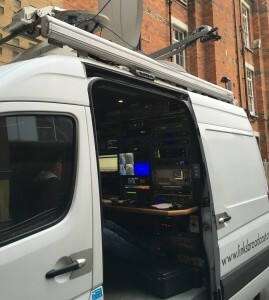 We use it frequently for recording, broadcasting and training purposes. We are using Medinbox from two years and it is working without issues. 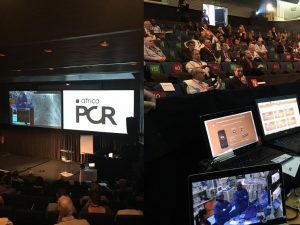 On May 3rd, 2016, during Boston Scientific’s paramedical days of IAS (Institute for Advanced Study), Cardio Paramed and Next Media Factory have simultaneously transmitted a live case to the attendees and on YouTube with Q&A interactivity. The case was performed by Dr. Simon Elhadad and Hervé Faltot. The case was recorded in 4K using a 360° camera by Next Media Factory and published on YouTube. You can now check out the original live case recording with the immersive view on any compatible device (YouTube app on iOS and Android or Chrome Internet browser). For the 12th edition of the international Festival ImagéSanté dedicated to health films and documentaries, NextMediaFactory was chosen to organize live broadcasts. 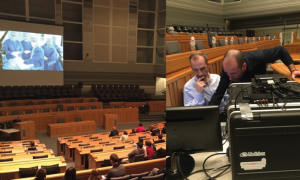 Friday 18th March : live CTO interventional cardiology transmission from Rangueil Hospital (Toulouse, France) to Haute-Garonne County Council and to Belgium, during the health film festival. Attendees appreciated the high quality of images, sound and transmission via Internet, enabling for them to interact live with doctors. 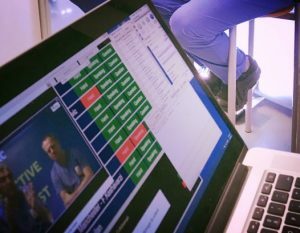 For the third time, in partnership with Medtronic we organized a WebMed session at Clinique Pasteur in Toulouse (France) for 11 countries worldwide: Croatia, Serbia, Italy, Saudi Arabia, South Africa, Kenya, Portugal, Austria, Greece, Slovakia, Switzerland and Uganda. 17 health centers were connected simultaneously, bringing together a total of over 150 participants! WebMed, the interactive live case session, is a revolution in the workshop’s organisation. It requires less time and budget in terms of organisation, yet continues to provide the same quality standards. There’s even the possibility for attendees to participate by raising hands and ask question orally! Learn more about WebMed service. AfricaPCR is a master class built by and for the African cardiovascular community. This year, in Johannesburg (South Africa), hundreds of attendees came together to share knowledge, experience and practice. The event was an opportunity to see how live case transmission represents a great opportunity for the sharing of cardiovascular know-how. .
For the first time, a Doctor in Hammersmith Hospital (London) – Dr Nijjer – produced by himslef the live case using its own Medinbox solution, with the sole support of NMF’s team at AfricaPCR in Jo’burg! This Internet transmission successfully fulfilled all attendees’ needs as many positive testimonials were received ! 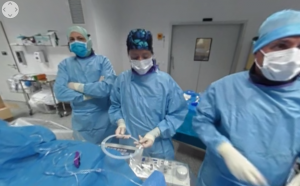 France’s prestigious center for cardiology Clinique Pasteur and the Medtronic Laboratory have organized their first interactive live case session using Next Media Factory’s WebMed technology. Over 100 participants from around the world tuned in to attend the procedure, undertaken by doctors Jean Fajadet and Bruno Farah. Participants were able to ask questions to doctors and interact directly with doctors both via text messages and via their own embedded microphones. This experience was said to promote the same level of interactivity as during an international congresses, all without the need to leave the house ! Organizing workshops for doctors can prove to be onerous for medical businesses, both in terms of time and budget. Next Media Factory is the first audio-visual agency to offer a genuine interactive solution for the large scale deployment of the live transmission of a medical interventions. WebMed is the unique solution on the market for live case HD transmission, promoting functionalities that enable highly-developed interactivity between doctors, just like in real life.